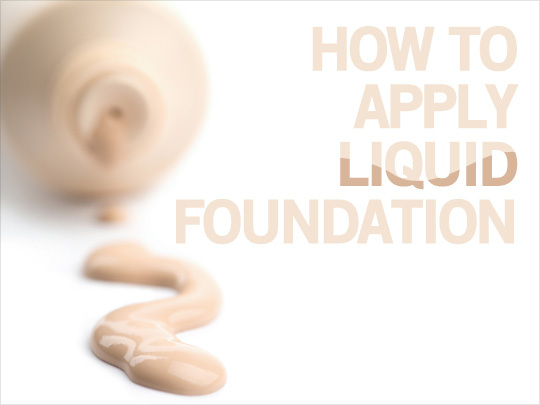 Liquid foundation is one of the ficklest products to apply. Ever. Not only is its basic application a chore, but even after you feel like you have a routine down, the smallest hiccup — anything from product buildup on your brush to a stray brush stroke — can throw off your entire look for the rest of the day. But after years (literally, it has been that long) of trying different methods, brushes, and foundations, I think I finally have it down to a handful of simple steps that can make all the difference in the world. Grab your favorite liquid foundation. Now, I almost always choose a full coverage one, as this method will sheer it down a bit, making it suitable for most skin types and needs. Pour or pump an amount about the size of a nickel or quarter (this will vary depending on the condition of your skin) onto the back of your hand or a palette. Take a dense, flat top brush (my favorite is the Sigma F80), and dip it into the foundation. Dot this onto your nose, the cheeks, around the borders of your face, and your chin (one dip should pick up enough product to lightly dot around all of these areas). 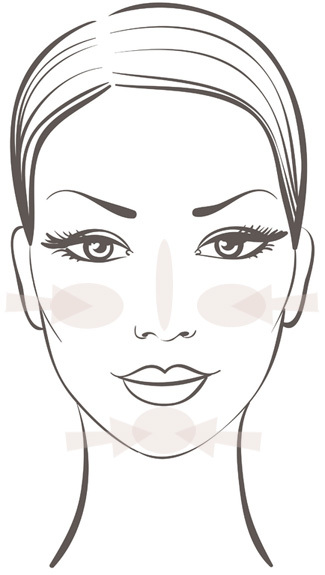 Starting at the nose, stipple in small, tight areas, moving to the cheeks and the borders of the face, stippling product inward towards the center. Repeat this process for your chin. Sam is a 17-year-old, oddly tall guy whose love of all things skincare, makeup, and fashion started when he entered the modeling world at 14. Since then, he’s established himself as a freelance makeup artist in the theatre and fashion worlds, and started his own blog to preach the wonders of orange eyeshadow, Asian skincare, and designer fragrances to the masses. You can also follow Sam on Twitter. With what is left on the brush, stipple over the area above your lips and below your mouth. Avoid the area where you get smile lines for now (this will look weird, but we’ll correct this malfeasance later. This next step is only if you regularly use foundation under your eyes, rather than or in conjunction with concealer. If you don’t, skip to the next step. Take a bit of foundation on the outer edge of your brush, and dot lightly under the eyes, concentrating the product at the lower inner corners where your under-eyes are darkest. Stipple lightly over this area, taking the foundation applied under the eyes up and onto the eyelid and brow bone. You should have about 1/3 of the product left. Take some on your brush, and stipple it across your forehead and into the hairline (almost as bad as the jawline is a blatant change in color at your hairline, which many people tend to neglect). Your entire face should now be covered (except for the small area around your smile lines). Take the remainder of the product on your brush, and dot it under your jawline. Stipple this upwards to connect with the product on your face, and downwards slightly to fade it into your neck. Stipple lightly where your ears connect to your face. Stipple all over your face, using any excess product to deal with problem areas. This distributes the foundation evenly. You may now go over your smile line area, which will only be covered with a small amount of product, greatly reducing the chance of creasing. After you have stippled all over your entire face once, lightly buff in small circular motions using the same brush. This blurs imperfections and removes any excess product, and melds the product with your skin, giving it a natural skin-like texture. Make sure to buff under your eyes, over your eyelids, and around your hairline to blend the product into the tight borders surrounding these areas. Keep buffing until the foundation starts to feel a bit tacky (it usually takes 2-3 passes over my entire face and under my jaw to get to this point). This step is crucial. 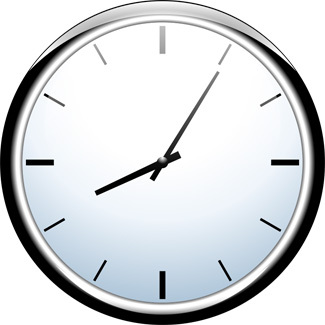 Let the foundation set for 3-5 minutes. Take a tissue, and blot all over your face, avoiding the nose if you have large pores. Pay special attention to the eyelids, lines under the eyes, and the corners of the eyes (where excess product will definitely have creased and collected). If your foundation tends to set into your smile lines, you may wish to buff very lightly over this area once more using the same brush as before. Apply loose powder with a puff, rolling and pushing it into the skin. Apply any other powder products (blush, bronzer, contour, etc. ), and blend well. This may seem a tad complicated, but ignoring the setting times, this whole thing takes 5-7 minutes at most, and results in smooth, even, porcelain skin. If you wish to sheer down this application even further, dampen your brush slightly before application to prevent excess product from being absorbed by the bristles. Make sure to always use a (relatively) clean brush for application (I tend to wash mine every 3-4 days) to avoid caking. And never forget to set and blot! 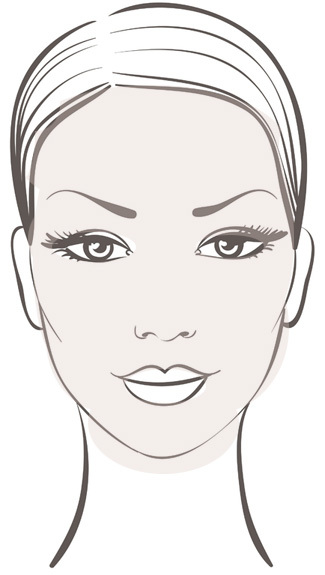 With this quick tutorial under your belt, you’ll always be able to put your best face forward. If you liked this tutorial and just generally love makeup and beauty tips, subscribe to the Makeup and Beauty Blog newsletter. You’ll get makeup tips like this one delivered hot and fresh to your inbox. 🙂 See you soon, beautiful. There are 98 comments on this post. Leave yours. Next Post: Do You Still Do Your Makeup When the Weather Outside Is Frightful (Rainy, Snowing, Crazy Humid)? wow thanks for the great tips and post 🙂 i never liked full coverage foundation before because it find it too heavy my skin but I think this method sounds wonderful. I’ll try it out. thanks! If it still seems too heavy, even with this method, dampen your brush slightly before application to sheer it down even more! Hope this works out for ya! ive been looking for an inexpensive stippling brush..any suggestions? Elf do a brilliant stippling brush – not as dense as the sigma one above – that’s more of a buffing brush. There is a UK brand called Real Techniques that does a great buffing brush that is very similar. I just got an Elf brush and I love it. Was only about $4 at Walmart! Excellent post – the pictures make all the difference! I have a question about washing your brushes though… I have a stippling brush (from sephora) that has some dark and some light bristles. When I use it, the whiter bristles never clean back to white – they stay the color of my foundation. How do I get all of the extra makeup out without losing the form of the brush or breaking the bristles? I have noticed that when the brush is dirtier, my face tends to get oilier throughout the day, so I do want to clean it well! Thanks!!! oh – I do have one tip! I put the foundation on the back of my hand in a pea sized drop. Then I add a teensy bit of a highlighter (I love Clinique’s Uplighting in the lightest color since I’m pretty pale) and mix together. Then I dip my brush onto my hand to pick up the color. The highlighter seems to sheer out my foundation and leave me with a little glow that’s ok for my oily skin. Often is using a full-coverage or waterproof foundation, this will happen to your brushes. The only way to get all of that makeup out is to use a real brush cleaner, like the ones professionals use (not “brush shampoos”, but the often blue liquid ones that smell like alcohol and vanilla.) Often though, what you see is just minor staining and won’t affect application in the slightest. I’ve also seen on youtube that olive oil can help get pigments out of brush, you just have to be sure to get it all out with the baby shampoo/other cleaner. 2) EVOO is extremely acidic and can actually strip bristles of their “protective coating”, which is also why I never recommend using EVOO as a hair masque (it can strip color like *that*). If you really wanna get it out without resorting to pro cleansers, then fill a small ziploc with cornstarch, drop your brush in, and shake vigorously for thirty seconds or so. It’ll take you a while to get all of the cornstarch off your brush, but most of the cream or liquid-based product will be outta your brush. I use a cleansing oil to remove make up from my face, so I always have this on hand. If you also have face cleansing oil-based make up remover, a little bit of that on a dry hand with a dry brush and then working it gently with a little water to let it foam up will remove the stain pretty well. Great post! I’ll have to add some of these tips to my routine! Thanks for these tips.. I’m lazy and usually apply my NARS Sheer Glow with fingers but will have to incorporate some of the steps you mentioned into my application! I use the Sheer Glow as well, and out of all the techniques I used, using your hands is what gives the best result in my opinion (and in my case anyway). It’s how 2 MUA from the brand applied it on me as well, and it’s what’s recommended for the product. But to each their own! Often sheer to low coverage foundations are more forgiving than medium-full ones, and thus using your fingers will result in a similar application as a brush might. However, with higher coverage comes more room for error to become apparent, and fingers simply cannot apply product anywhere near as evenly as a brush, and the hot spots and blotchiness that are nearly invisible with sheer coverage become all too apparent. For the best application regardless of coverage, I still always recommend a brush (much more sanitary as well), but some find that fingers work perfectly well and are much more low maintenance than a brush for lower coverage bases, and if you’re not under the scrutiny of a good camera or harsh fluorescent lights, fingers should do you just in this case. Ever since I got my MAC 187 brush, the time spent doing my foundation cut in half! No more sponges! I do my foundation application similarly, with the exception of the eyes & buffing. I feel that applying foundation or too much concealer under the eyes tends to look overdone. Sometimes, those shadows under the eyes look more natural! Also, I feel that buffing after stippling undermines the whole point of the stippling brush. When you buff with the same stippling brush, it can create streaks or look heavy. I just stipple, and do the rest of the process. That tip about letting the foundation set, then blotting is a good reminder, though, so thank you! I used to never buff either! But I’ve found that with this brush, I never get streak marks or ripples. And since I’ve started needing to wear less foundation, buffing afterwards really takes down the amount of product on your skin while maintaining a good amount of coverage, as well as making sure you don’t have any hot spots. Basically, my philosophy is do what works for you. If buffing gives you streaks with the brush you use and you like the finish it *does* give, don’t run out and buy the brush I recommend just so that you *can* buff. Do what saves you money, what makes you happy, and what makes you beautiful. Sounds great for those with normal / oily skin but with dry skin I find that any powder coverage just makes my face feel horrible. I think that I will stick to my sponge for now. It is a very good tutorial though. The pictures are very helpful. Could you define the technique for stippling? Is that just dabbing it on? Wow great tips! No wonder it creases around my smile lines. Would you recommended this method to someone with dry skin? I have a problem with dry patches even with ex foliation and moisturizing. I never blotted my skin before. I’d definitely recommend being very gentle with the buffing, and if it seems to accentuate the dry areas, then skip the buffing in those areas (that’d definitely be the instigator…) The rest of it should be totally fine! Blotting your skin is still a good idea for someone with dry skin because it removes excess product and excess moisture left from the product. This moisture would not be absorbed by skin, but would instead sit on top and serve to make makeup look heavy, separate, or cake, especially if you apply a bit of powder afterwards. Oh wow, and here I thought moisturizing foundations did all the work by themselves. Well, I kind of suspected that all that moisture mumbo jumbo wouldn’t be fully absorbed :/ No wonder I looked aged when I sometimes put on foundation. Thanks so much for the tips! A lot of moisturisizing foundations actually do work, but there still is that excess moisture that is just naturally part of the foundation that sort of… separates throughout the day. As well, blotting removes excess product that would just be lying on top of your skin, which, while possibly undetectable in soft lighting, can result in a blotchy look when viewed under harsher lights or on camera (these areas that have more product on them than the rest of the face are called “hotspots”). If you don’t need foundation, then you are truly one of the lucky among us! I recommend foundation for about 98% of people, even if it’s just a very sheer layer to make the face a shade darker to match the body. However, if you apply blush, bronzer, etc., a very light layer of foundation is a good idea. These products stick to foundation better than to skin, and foundation serves as a perfect base (hence the name haha) for the rest of your makeup. And then how to prevent it! The next time I want a picture-perfect face I will remember this stippling+patience method of yours. I am usually interested in getting my whole face done as fast as possible though. Thanks for the tips! so is this only possible with a kabuki brush? Kabuki, flat top buffer… Anything with that sort of shape or feel. Obviously you can apply foundation with a myriad of brushes, but it’s gonna be impossible to both stipple or buff with say, a paddle brush. Thanks for the great post, Sam. Will try it one day. I have a question though. Usually, I don’t like to wear a liquid foundation as I always noticed that it’s it will look horrible on me. As I have a big hyperpigmentation on my cheeks (and I do mean big) I will definitely use a concealer. And once the liquid foundation & concealer has been applied on my face, when I used the pressed powder, the hyperpigmentation were not concealed properly (I can actually see a sheer big round shaped on the brown spot) as compared to when using a powder foundation where I can say that most of the time I can actually conceal it properly. I hope I’m making a sense here and you understand exactly what I’m trying to tell here. Any tips on that? Thanks! The possible problem is that you’re buffing foundation over the concealer. I forgot to mention this, but if you use concealer anywhere on your face before you use foundation, then just stipple over that area. That’s one of the primary reasons to stipple in general: to place one product over another without disturbing the one underneath. If you buff foundation over concealer, you’re simply going to move and displace it, negating the effect. I’m not quite sure if that’s your issue. Could you give me a little more info on your routine? Hi Sam, thanks for your reply. I forgot to mention that I put the concealer only after applying the liquid foundation (wherelse if I use powder foundation I will apply the concealer followed by powder foundation). It’s really hard to conceal the hyperpigmentation whenever I use the liquid foundation even with the help of concealer. There will always be a sheer big round shaped on my spot (which you can immediately tell that I have hyperpigmentation and wearing a concealer). That doesn’t usually happen when I wear powder foundation+concealer. Could it be because liquid tends to be lighter coverage compared to powder foundation? Any idea/tips? Thanks! It’s probably not that liquid foundation is lighter than powder… Hmm.. What’s your normal application method for liquid foundation and what kind of brush do you use? That could definitely be the problem. I used mac’s 190 foundation brush. I normally pump 2-3 drops of the liquid onto my hand, take the 190 brush, patting the brush on both sides so it gets covered by the foundation and swipe it onto my whole face. i do realized that you did not use the swiping method instead you use stippling and buffing method. could it be due to this that I’m not achieving the kind of results that I want? Swiping (or is there any other terms for this, I’m not sure) was the only method that I’ve learned whenever I do any makeover. After liquid, followed by concealer and pressed powder (I use Elf flat top powder brush. If I use sponge and especially the puff type, it will set the rest of my face but it wont do any good to the part where I conceal my brown spot) and i dont blot though. How should i do this when i need to conceal the spot? Should it be done before concealer or after? Thanks! Well, there’s your problem haha! The reason I normally don’t use a paddle brush (like the 190) is because I don’t like the coverage it gives and I find application a chore. Granted, I was never good at painting, but using a paddle brush kind of requires the same technique. If you want good coverage, you get brush streaks. And if you do the crosshatch method, you don’t get great coverage. I really only use paddle brushes for concealer and occasionally for cream foundations if a model has great skin. Stippling is definitely going to be your friend. I really do recommend investing in a good flat top brush (I can’t hype the Sigma F80 more; and it’s relatively cheap too!). Follow the steps in the post, but don’t buff over the area where’s there’s hyperpigmentation, as this would lessen the coverage. Make sure to blot as well, because an even powder application will be key in hiding discoloration, and leftover moisture from your foundation won’t allow this. Thanks so much, Sam! I have the feeling too that the brush could be the culprit! I did noticed that I have to “swipe” a couple of times to avoid the lines(or do you call this streaks?not familiar with the terms!) when I use 190. I’ve read the link, will try the concealer first, then stipple the area with liquid foundation (I even use the MUFE concealer pictured on your post too!) Thanks so much! Sorry for all the questions but what is your take on Mac 187 Stipple brush, Sigma F80, Elf flat top powder brush and Everyday Minerals Flat Top Brush (all look kinda same!) btw, cream blusher id not recommended if you have hyperpigmentation on your cheek right as it will wipe away your concealer and liquid foundation? oh, what is crosshatch method (really not familiar with the term!) Thanks! To start, the 187 is a duo fibre brush while the rest are flat top buffer brushes. I prefer duo fibre brushes for cream blushes/bronzers, and when applying very sheer foundations. However, I don’t particularly like MAC’s; it’s too poky and doesn’t pick up product well. If you want one, try Studio Tools, sold at Target. I really don’t care for ELF products at all, especially most of their brushes. I find they shed and don’t distribute product well at all (that said, I have never actually tried the brush you mentioned personally.) The Sigma F80 is my go-brush for liquid foundation, and it’s a good deal more tightly packed than the EDM Flat Top Kabuki, which I have and adore for powder application/blending. If you have any more questions, feel free to visit my blog (finallyindigo.wordpress.com), click the “Ask Me!” tab at the top, and send ’em along to my email. Oh, forgot to say that cream blushes are absolutely fine in your case as long as you stipple it very lightly over foundation and make sure not to buff at all. Try using a duo fibre brush for this. Cross-hatching is painting in one direction and then painting over that same area at a 90 degree angle (perpendicular). The motions are often alternated when moving down the face to avoid brush streaks. 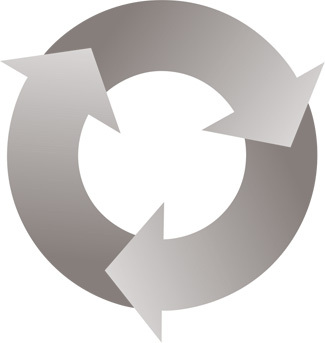 Great post – easy to follow steps combined with some fantastic tips. The key is knowing how to use a minimal amount to obtain even coverage. Thank you very much! I generally use a sponge with my liquid foundation, but I recently bought the sigma flat top brush and I’m looking forward to trying it out with your tips! It’s honestly become one of my top 3 go-to brushes since I bought it. I never pack up without it! Hi Sam!!! ….Love your tips!! What would be the “Best” foundation and concealer you recommend for someone with Acne prone skin?? Something that would cover nicely but also not clog or cause breakouts?? This is exactly the way I do my foundation.. only sometimes I’m tired getting my brush(and clean it afterwords) so I just use my fingers.. Thanks for this Sam! I don’t have any Sigma brushes, but I must look into into the flat topped one! I also tried using the MAC 187 and it picks up and deposits foundation unevenly so I end up using loads of foundation and look cakey! stippling and buffing is disastrous on my dry skin, no matter how well exfoliated and moisturized I am… and powder? oy! i’m glad this technique works for normal/oily skin types but i cannot make it work for dry skin! I agree! My skin is extremely soft and moisturized, but the Sigma F80 brush is just so rough that it makes me flake and peel no matter how gently I use it. And powder? That just makes my skin look bumpy and my pores look big (when they weren’t even noticeable before). And yes I use primer, of course, but it seems to just absorb into my skin. It also accentuates dryness like crazy and feels horrible towards the end of the day. I’ve heard stippling with a beauty blender works wonders for dry skin though. I’ve yet to try it out, since my fingers work just fine. It is very helpful, I will defiantly try this technique ! I used to apply my foundation with a concealer brush, and it always felt too heavy on my skin (which is why I have disliked liquid foundations until now). I didn’t own a flat top brush, so I went out to purchase one, and I have ever since been applying my liquid foundation with it. I have totally changed my opinion about liquid foundations (at least the ones I own :D). I get better coverage, and my face has a glow about it that I love! I just wanted to thank you for this!!!!!! I bought a F80 from Sigma because I <3 their brushes and I was tired of using my MAC 190 foundation brush. I love the way it applies! it's so even and it doesn't feel heavy like foundation can feel. Thanks for the tips!!! I have really large pores on my nose and no matter what I do (applying rich or mattyfing moisturizer; hydrating primer or one for oil skin), I always end up with my foundation / concealer sinks into my pores. Right now I have about 20 different foundations and primers (ysl, chanel, dior, smashbox, macâ€¦.) and they all do the same thing, so I started thinking that maybe I do something wrong applying them. I`m from Poland and all those products are really expensive in here and you cannot return them if they donâ€™t work , so I would really appreciate if you help me. Thank you. Hi Sam. really enjoyed reading this. I have a couple of questions: 1. what is stippling? 2. why do you let the foundation dry before powder – i got told that the powder was to dry the foundation. and i’m interested in Ania’s question from the 5th March – I have the exact same problem! thanks! hi Sam. such a nice and informative post. I really enjoyed reading it a lot!! thanks a lot for sharing with us. THANK YOU for this post! Okay, so I normally get “separation” areas with my foundation. Typically in my t-zone and more oily areas. I use primer and full coverage makeup. I have never let my foundation set, and rarely buff it out. These tips will be great! I also never blot my foundation. Can you tell me though the difference between using a large powder brush when setting foundation, versus a puff, like you mentioned in your post? And can I blot my nose if my foundation tends to separate there? I love this tutorial! I personally like to use my sponge and fingers when I am too lazy to wash my brush. But I do use the brush and your method when I have time to get ready. I also like to do a foundation-concealer combo to get good coverage. A brush is definitely the way to go with a heavy foundation. Thanks for the great pics! Very informative. I love your tips! I was wondering what the best cheap stippling brush is? And I was wondering how I can avoid getting oily during the day. I use a primer and shine absorbing lotion, but I still feel and look greasy during the day. Also, around the edges of my nose, the foundation starts to run, crease up and “clump.” I guess you could call it that. Thank you! My foundation always goes dark and dirty looking around my smile lines but tomorrow i’ll try this method and see how it goes!! i use a full cover foundation and then i get spots so i use more foundation to hide the spots is there any better foundation you would recommend that won’t make you break out in spot? First, you look so hot in the picture :). Second, I need to know if it is possible to make my cheeks look less full. My cheeks near my smile-line are a bit puffy giving me a baby like face. Is it possible to use a different shade of foundation over that area so as to make it look less full, and to bring out more the cheek bones just below the eyes? Loved it the way u have explained it Sam, I really appreciate ur work would u plz suggest a good foundation? Hi Sam and everyone I am now 40 years old and am wondering if this same application applies? I want my make-up to accent my features without over doing it. i preper a more natural look. Love the whole Sigma brush line, good quality at a resonable cost. If you get them off Amazon the shipping is really quick too! As far as separating, keep in mind oil and water don’t mix. If you’re using a water based primer and oil or silicon base foundation, they will separate from each other like same force magnets. Keep water based with water based and same goes for silicone and oil. Like with like and you will see a difference. Hey thanks Sam… i really appreciated what u wrote cux believe me u’hv helped me alot… 🙂 but i wanted to ask that can i apply the foundation from the same brush from which i apply my blush on cheeks ?? because i can’t figure out the differencx b/w these two brushes… they seem the same to me cux the brush is flat nd thick from the top? so can i apply the foudation by the blush brush? 17-year-old male model? I didn’t see that coming. Thanks for the tips! Found this on Pinterest and just gave it a try – my foundation has never looked so natural or so smooth. Fabulous tutorial! Tnk u Sam.. I now knw Hw to apply my foundation like a pro.. Thanks Sam! I can tell a big difference! I hope to find more helpful hints from you in the future! Thank you Sam for the awesome tutorial! I’ve seen numerous tutorials regarding foundation, HAC, concealers & setting powders. Curious if/how this regiment changes in the summer. Are all these products still applied? I found this method to work extremely well. Thanks Sam! I apply my foundation the same way, stippling method but I use Sephora’s #55 brush, works amazing!!!! Hi Sam! Great information! I use a med-full coverage foundation to cover rosacea on my cheeks, but sometimes I feel my face looks too make-up heavy. I’m so excited to try this method. Also, in terms of cleaning brushes, I love using a fruit/vegetable cleaner. It is mild and removes makeup easily with no harsh smell. Thanks so much! My foundation looks so much better than it does when I just smear it. I would LOVE a brushes suggestions post though (if you have lots of preferences). I seriously need to invest in some new ones and have no idea what I’m doing! This method of application is AWESOME. I’ve always used a brush in applying my foundation, but haven’t really been satisfied with the results – until I followed these instructions over the weekend. The process is more time consuming than what I’m used to, but the finish is definitely worth the extra couple of minutes. I have tanned, 44 year old skin and prefer light coverage (both because I fear the cakey look and because I can’t stand the feel of a heavy base on my face), so was concerned with the amount of foundation I was putting on the first time I tried this. But with the buffing and blotting, I was pleasantly surprised to find the finish both flawless AND light. This was a good article. I’ve always just placed it under the eyes, cheekbones,and chin. This will work much better!! Am I the only idiot who doesn’t understand what stippling is? Help! Cosmetic illiterate here! Great way to apply foundation! I’m a 16-year-old girl and I’ve just gotten over three years of awful skin and have terrible acne scarring..this works wonders though! Thank you! Hi, every time I apply foundation and concealer, I can still see lumps and bumps under my skin, which makes my skin looks worse ! Does anyone have any suggestions on how to fix this problem ? I’ve got to get me one of those brushes. I have a similar one, but have heard nothing but rave reviews for the Sigma F80! I struggle with “cakey” foundation around my mouth and smile lines. I’m definitely going to try this method – the setting and blotting is something I’ve never tried! Great tips!